Micro apartments and tiny but well designed living spaces are all the rage right now. Most people living in tiny apartments do so because they’re cheap, and don’t have the money to turn their homes into an urban transformer. So they need to find other clever ways to maximize their limited space, like with a two-in-one sofa bed with extra furniture hidden inside. Designed by Brandon Kershner, the Dartmouth sofa features a split back allowing it to transform into a bed, a lounge, and a spot for three people to comfortably sit. 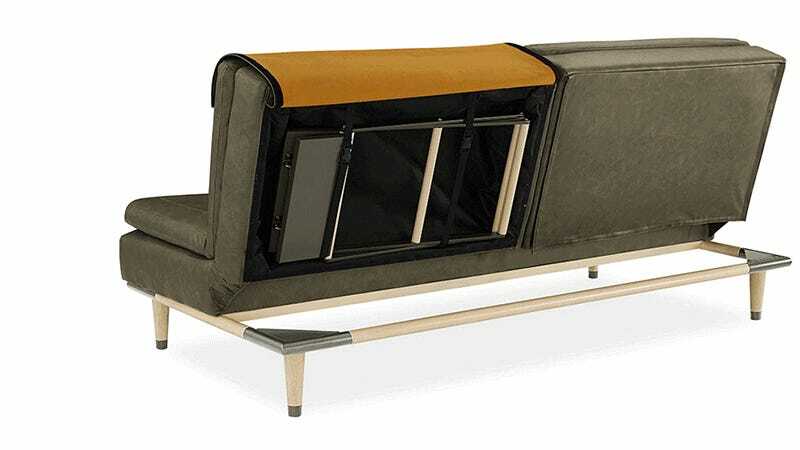 It’s also upholstered in genuine faux-leather so you won’t have to feel guilty about a cow giving its life just so you can lounge around eating Cheetos in front of the TV. As a sofa bed the Dartmouth has an anti-Ikea aesthetic going for it, looking more like something you’d find in an expensive psychiatrist’s office. 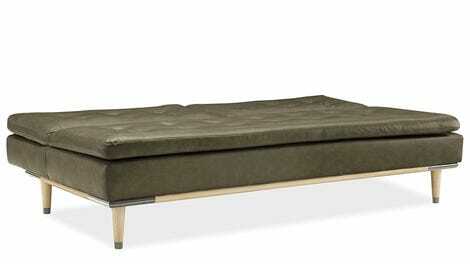 But it’s packed with even more functionality than just turning into a bed. Hidden on the back, behind a removable panel, is a folding side table that you can use for meals, snacks, or holding your laptop. Is it a substitute for a full dining table? Definitely not. But since you probably don’t even have a dedicated dining room, it’s more than you need.